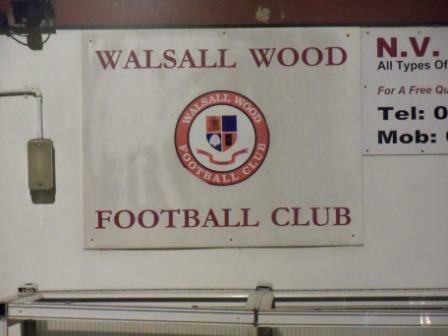 Another WWFC exists to the north of Birmingham – Walsall Wood FC; my third of the ‘Walsall Quartet’ of Pelsall, Rushall, Walsall Wood and Bloxwich. The latter will complete the set. I’ve noticed that the many clubs around this area go in for wrought iron gates with the club initials on – Walsall Wood keeping up the tradition, along with Wednesfield, Pelsall Villa and Darlaston Town among the ones I’ve noticed. The club started out with surely one of the best names ever in Walsall Wood Ebebezer Primitive Methodists, in 1915. The name conjures up images of hat wearing ministers charging around the pitch after the ball, holding on to their robes. This origin survives in one of their nicknames – the Prims. 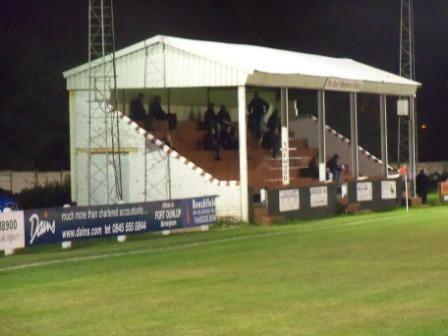 The ground boasts a stand from the 1930s which they claim is the only one of its type surviving. It is indeed different from any I’ve seen, very tall and proud, having a distinctive vaguely art deco style. Oak Park is named after the ‘Shire Oak’, an old local landmark. Their motto is Pro Bono Sylvae (for the good of the wood). 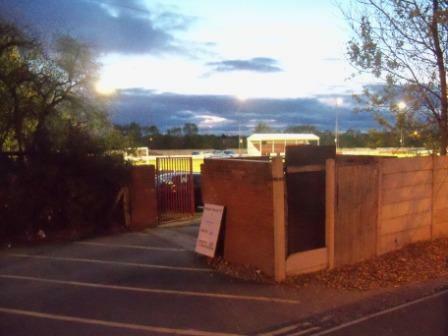 Entrance to the ground was just off the main A461 Lichfield Road through the town. There is a huge amount of parking which is part of the Oak Park Leisure centre. The ground is at the back of the car park. There is a club bar and refreshments down the right side as you come in, with a very popular bus shelter stand in front where most of the 80 odd assembled crowded into. 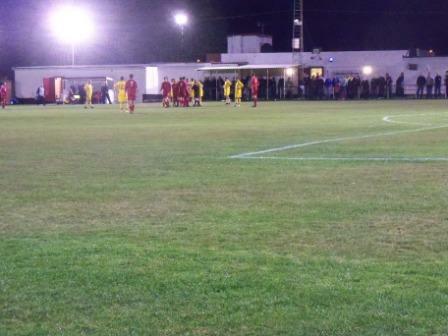 The attendance of around 80 was very good for this level, between 25 and 50 being the norm. Especially as Walsall Wood were rock bottom of the league. 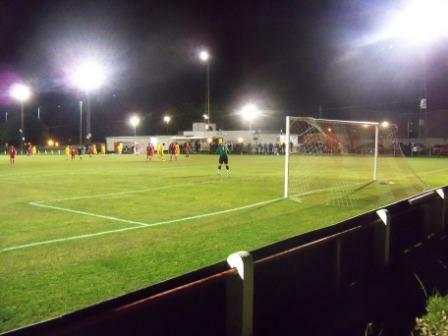 Official crowds are rarely recorded in the Midland Combination, much like the other step six midlands league – the West Mids Regional, so one has to rely on head counts. 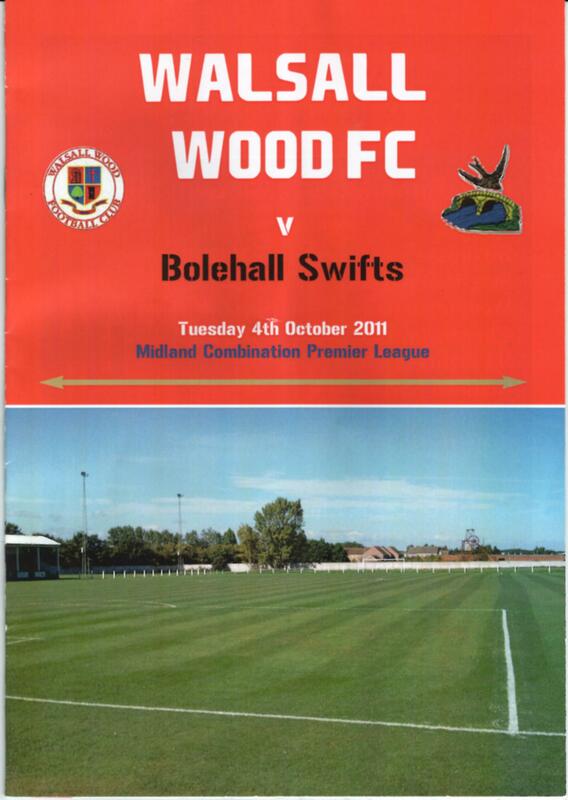 The visitors were high flying Bolehall Swifts, founded 1953, from the Bolehall suburb of Tamworth. 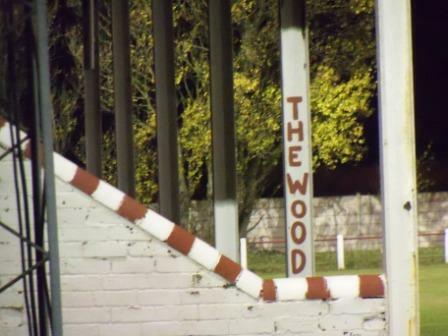 Despite the whole league table being between them, the Wood got off to a great start and took the lead with a quality header. The ball came through bouncing to Rob Cadman with just the keeper to beat, and he wieghted a perfect header over the advancing keeper. Bolehall Swifts’ secret weapon then set about destroying Walsall Wood. Simeon Smith looked a class above the rest as he put away two one-on-ones comfortably plus a header to complete a hat-trick and another win for Bolehall Swifts. An interesting ground for this level, with the main stand a must see. 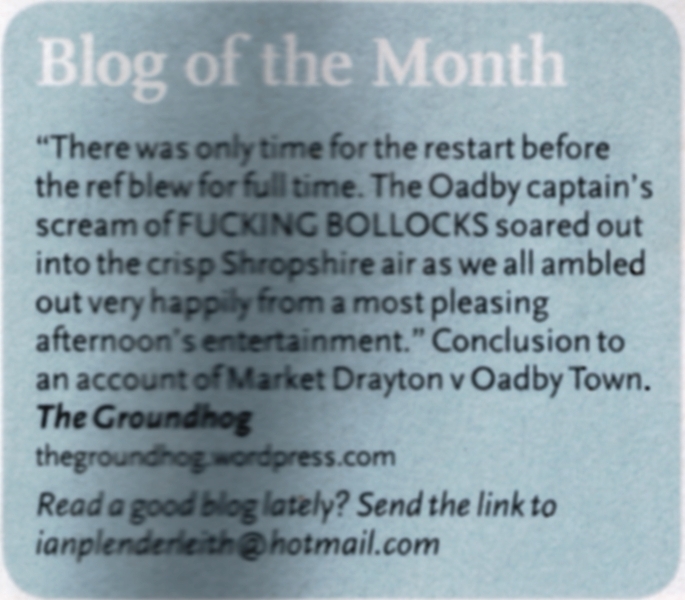 This entry was posted in Groundhopping, Non-League, Travelog and tagged Bolehall Swifts, midland combination, Non-League, Oak Park, Walsall Wood. Bookmark the permalink. Thanks Hace, great to hear from you. 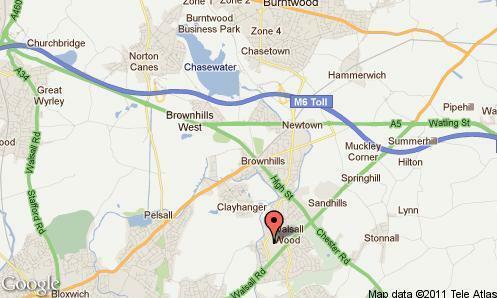 Walsall Wood were my first ever team. Ah memories, cheers for the report!